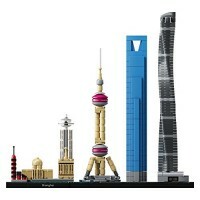 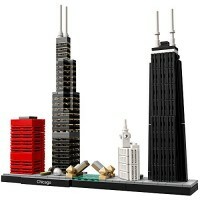 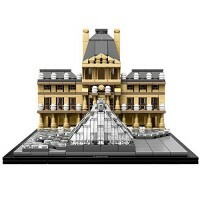 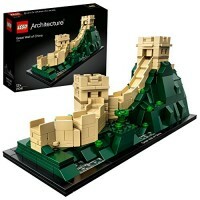 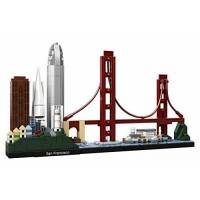 Celebrate a monumental blend of architecture and sculpture with this LEGO Architecture The Statue of Liberty set. 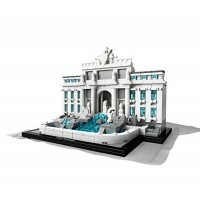 Celebrate a monumental blend of architecture and sculpture with this LEGO Architecture The Statue of Liberty set. 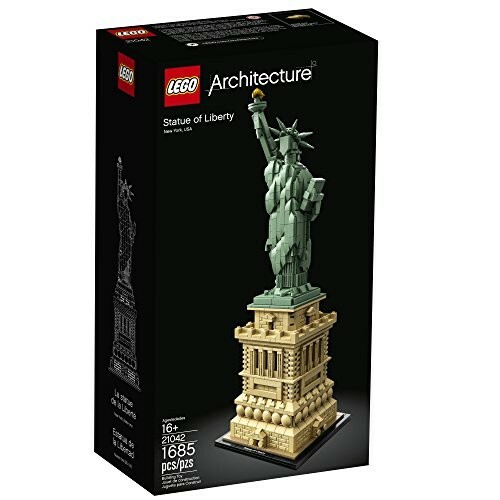 America's iconic symbol of freedom stands more than 305 feet above Liberty Island in New York harbor, welcoming seafarers from around the globe. 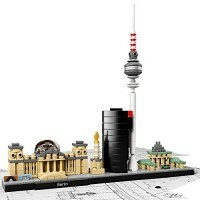 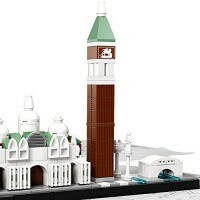 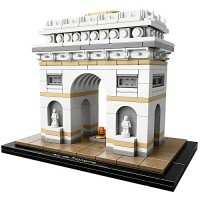 This impressive LEGO interpretation faithfully reproduces the monument's harmonious blend of sculpture and architecture with its intricately detailed shield-lined pedestal, brick detailing and columned balconies. 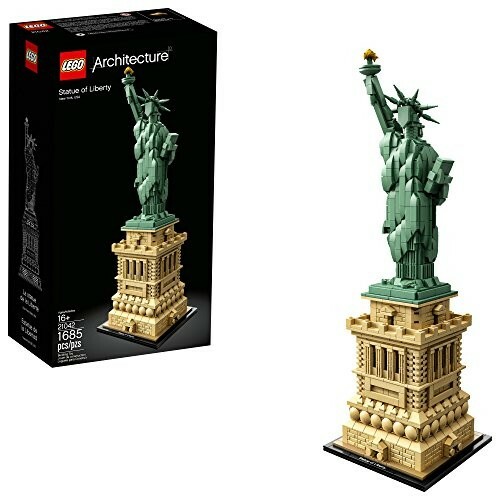 The beautifully crafted Lady Liberty statue features a flowing robe, broken shackles, 7-ray crown, iconic tablet and an upraised arm bearing a golden torch. 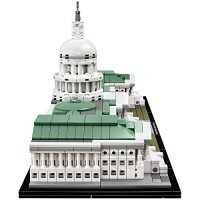 Finished with an authentic sand-green and beige color scheme, and a decorative nameplate, this model delivers a highly satisfying building experience to all with an interest in architecture, travel, history and design, and makes a truly symbolic centerpiece for the home or office. 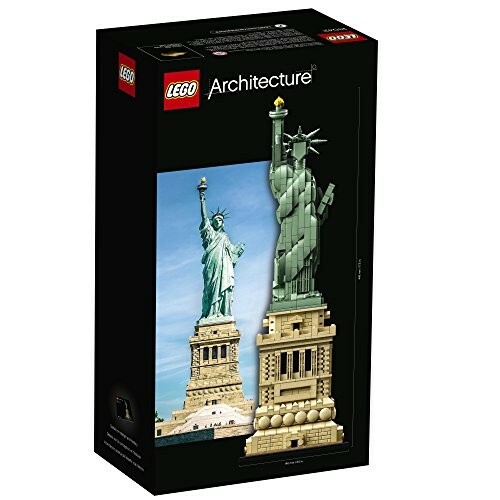 Dimensions of package 0.0752" x 0.1394" x 0.0465"
Write your own review of Statue of Liberty Construction Set by LEGO Architecture.